Recently we've had the great fortune to be working with Tenterfield Council and community - first in a consultation to figure out how to spend some government funding to support Main Street businesses, which resulted in tourism branding for the region to support future marketing campaigns as well as social media and signage. Hopefully we will also have the opportunity to talk with the smaller towns in the region about how they would like to activate the brand too. 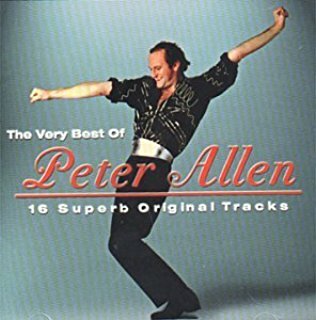 Of course the community discussions unearthed lots of great ideas, so we are also supporting a committee who wanted to create a Peter Allen festival and jumped right into it! (If we mention Peter, do you start to hum Tenterfield Saddler? Or I still call Australia home?) We've created an event plan for the committee to run with. Plus Tenterfield Landcare has been able to have us facilitate discussions on creating collaboration amongst local producers, which has us all excited too! We really enjoyed the judging the submissions. The questions of business award submissions are structured to take businesses through each aspect of a business plan, from marketing to ongoing training, an opportunity to review business goals and achievements. Some of the Tenterfield businesses are kicking goals waaaay out of the park. The competition was so strong, with clear and smart goals in very well-written submissions. We wish everyone in Tenterfield could read the submissions as they'd feel so proud of what's happening for businesses in town. Some categories were really hard to judge - such as the best event where submissions were very evenly matched. Others were completely endearing, like the intern of the year and the best employee award - it is so powerful to read an employer describing how they think one of their staff is amazing! In the end, we were inspired to give a special judge's commendation and two mentoring scholarships. The special commendation was for a business doing something we haven't seen in regional tourism. Tenterfield Cottages and Tenterfield Tours connected with overseas tour operators to establish an inland route from Sydney to the Sunshine Coast with a focus on a longer stay in Tenterfield (it's worth it - there is so much to experience in the region, especially in nature experiences). The result? Full occupancy with a very large percentage of guests from overseas! In a little regional town! How inspiring! The cottages are now creating accommodation partnerships to meet the growing demand from the international visitors that they can't meet. Two tourism businesses we'd love to help take a step to the next level are Arrajay Downs, free range pork producers who give farm tours with paddock to plate meals, and The Maze Modern Dining, a new venture by a young couple with exceptional meals and a great view, created after years of managing other people's restaurants. It was an absolute pleasure to give back a little to a community that we are enjoying working with so much. The Awards Night was fantastic - so well organised and with a great atmosphere. Bravo, Tenterfield! There's so much more to come! Couldn't make the Australian Event Awards and Symposium? Catch up here!